It’s that time of the year – when it can be hard to keep well and it seems every other person has a bad cold or worse. If you do go down with a cold or cough then a duvet day may be in order, if it’s flu then you should definitely take it easy. 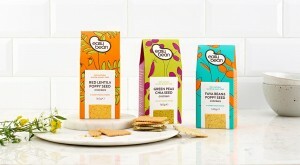 More good news - our new crackers are on the shelves in Harvey Nichols Food Markets – Knightsbridge, Edinburgh, Manchester, Leeds and Bristol! More good news this week - our new cracker range is on price promotion with Queenswood Natural Foods AND features on the front cover of their promotion booklet as well as Pages 3 and a nice feature on page 11 on ‘How it all began” – thank you Queenswood Natural Foods. 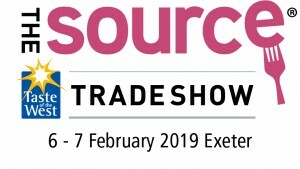 So excited - we will be exhibiting at the Source Trade Show in Exeter next month - joining our wholesaler Queenswood Natural Foods on its stand - C4. Traders, come and say hello, we have a wonderful story and wonderful products to show you. The Source Trade Show (www.thesourcetradeshow.co.uk ) is a great mix of producers, hospitality and catering companies and food service businesses. As the organisers say, ‘Inspiration and opportunity on a plate.’. We can’t wait. Wish us luck. We start 2019 with some good news. 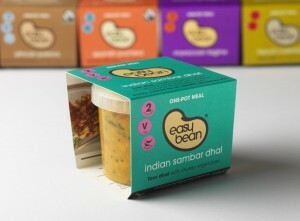 Our one-pots are on offer at Ocado (www.ocado.com) - 3 for £8.00. Look for us the New Year, New You section under Lighter Options and Veganuary. If you are a fan of Veganuary reach for our French Cuisinées, Indian Sambar Dhal and Thai Edamame Curry, all of which are all gluten-free, dairy-free and suitable for vegans. If your waistband is a little, ahem, tight, then you could try our New Mexican Chilli one-pot meal which is only 214kcal for a 320g pot (also gluten and dairy free). 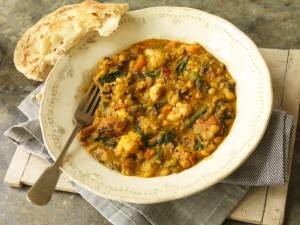 Or our Moroccan Tagine one-pot meal is only 211kcal for a 320g pot (gluten and dairy free). 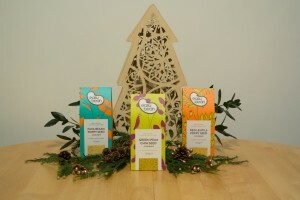 Merry Christmas - and thank you to all our customers, stockists and suppliers. We will be back in the New Year with exciting plans for 2019! In the meantime we send you our very best wishes - and we hope you like this photo taken by talented staff member Sarah. Christmas is coming - a time for eating, drinking and making merry! If you’re looking for something tasty to nibble on with a glass of wine or sherry, what better than the traditional cheese and crackers? Our crackers are perfect paired with a wedge of your Christmas stilton, something a little lighter or a traditional English Cheddar. With their exotic flavours and crunchy texture our crackers (and crispbreads) make the perfect cheese and biscuits combination. And while munching on your delicious snack you might like to ponder its history – cheese and crackers were provided to soldiers in the American Civil War and gave rise to the expression “a square meal”. Who knew? 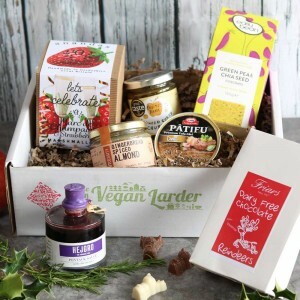 The fabulous Vegan Larder in Bethnal Green is including our crackers in its two of its Christmas boxes the Gourmet box and a special pate box - both sound fantastic! 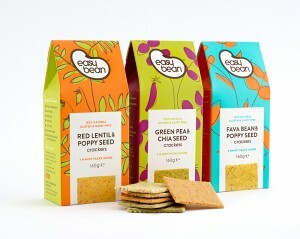 The Vegan Larder uses products which are completely vegan & palm oil free (with a gluten-free option). 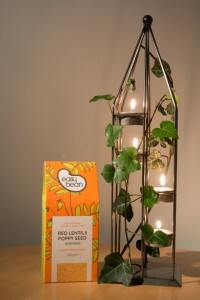 It also focuses on independent and ethical suppliers. This makes each box an exciting discovery to open. The Pate Box combines three flavours of the most delicious pate from Patifu with crackers from Yours Truly and a delicious chutney. The Christmas Gourmet Box features products from @anandafoods @nutcessity @fruitsoftheforage @friarschocolate Hej Gro and Patifu - and us! And thanks guys, great to be working with you.